Healthy Mac and Cheese? You read that right! A big bowl for under 350 calories and it tastes delicious. This is what dreams are made of. An added bonus is that some vegetables that have been sneaked in – so a great dish for kids too. When I think of comfort food, it is mac and cheese that comes to mind – pasta and cheese, what’s more comforting than that? 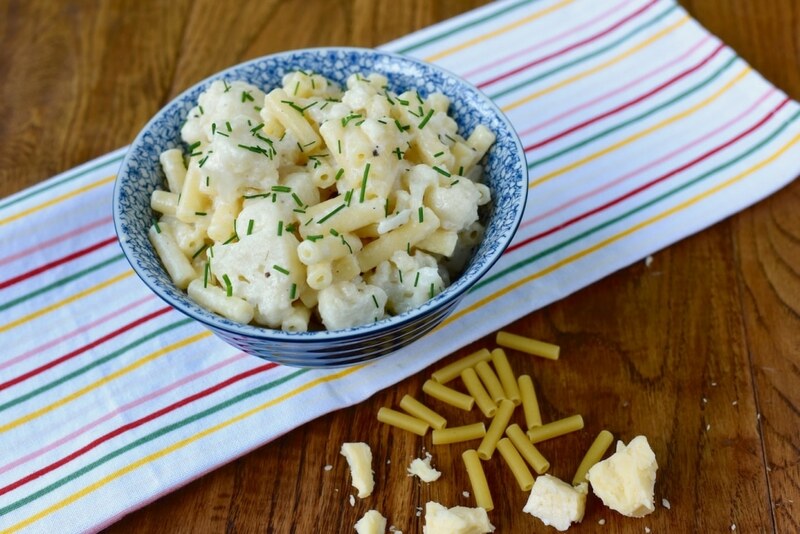 The usual recipes for mac and cheese really pack in the calories, but our recipe is much healthier with some subtle changes and some healthy additions. This recipe is also a great way to get kids, or fussy eaters, to eat vegetables without them even knowing it. There is cauliflower mixed in to this and as someone who really doesn’t enjoy cauliflower (Dannii loves it though), I couldn’t even taste it in there. Try it on someone and see if they can taste it. 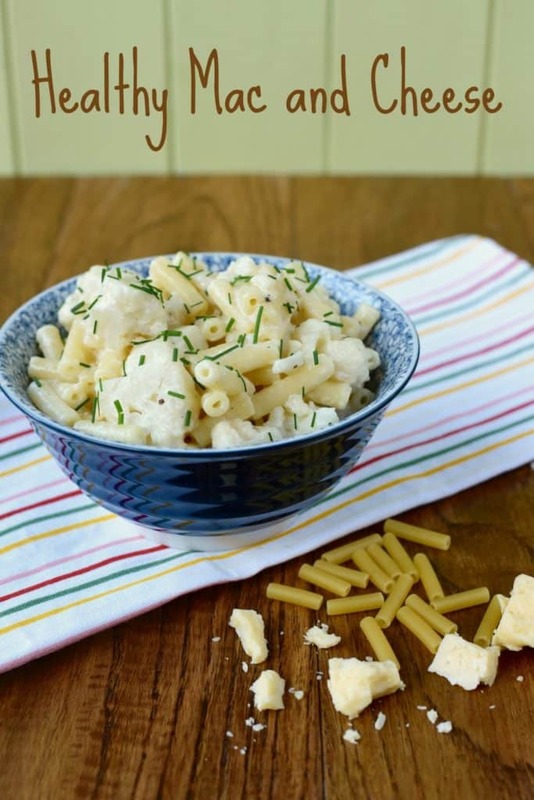 I am also a self-confessed mac and cheese fanatic – I would probably class it as one of my favourite meals (I am a big kid at heart). This is one of the best versions of mac and cheese I have tasted (lobster and truffle mac and cheese would get the number one spot) – so take that as a seal of approval. Don’t be put off of by Greek yoghurt being in the recipe, as I know some of you aren’t fans. You can’t taste it at all, and it isn’t like eating plain Greek yoghurt. It is just used to give creaminess instead of making a cheese sauce with milk, butter and flour, and cheese of course, but that is still in there as it wouldn’t be mac and cheese without it. 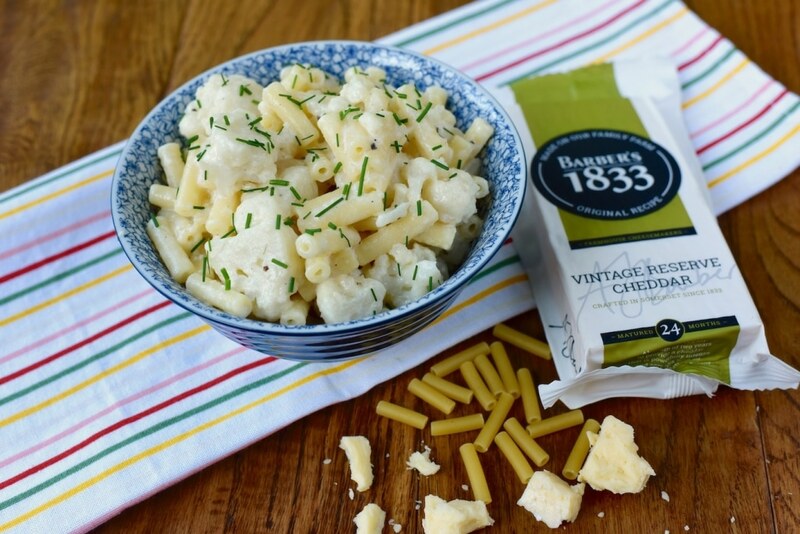 Speaking of cheese, we don’t just use any cheese when we cook – we only use the best and this recipe uses Barber’s 1833 Vintage Reserve Cheddar. If you like strong cheddar, like we do, then you have to give this a try. It is matured for a minimum of 2 years to provide a cheddar that is “powerfully intense and complex with an exceptional depth of flavour” and it definitely delivers on that promise. The flavour is seriously intense, but not too overpowering – so the perfect balance really. There is nothing wrong with a little bit of cheese as part of a healthy diet, just don’t go overboard. This recipe has plenty of cheese to give it flavour, but not so much that you get the cheese sweats after. Using a vintage cheddar like we have in this recipes means that you don’t have to use so much of it because of the strong flavour. If you want some more cheesy recipes to try, take a look at the Barber’s Recipe Section. Like most of our recipes, there is so much that you can do with it to adapt it. 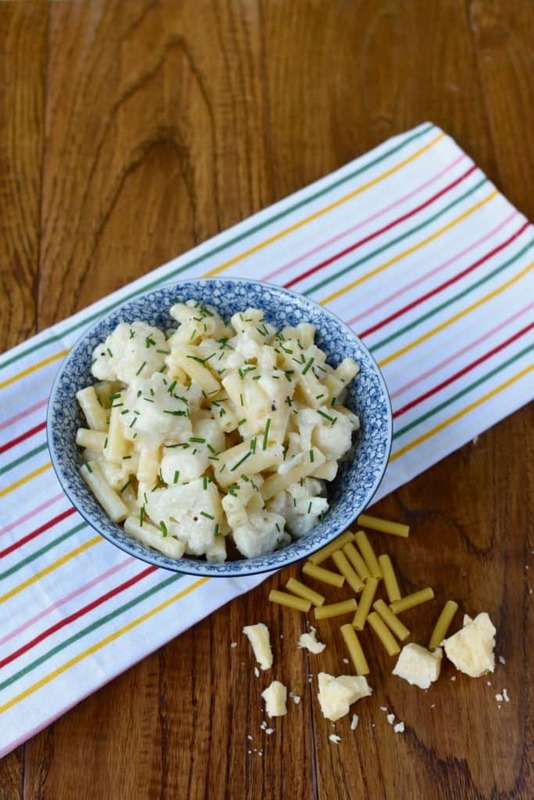 Use this Healthy Mac and Cheese as the base and then start getting creative. Adding some truffles would make it really decedent, or you could add some chunks of chorizo or bacon to make it meaty. We have also stirred through some red onion chutney when it needed using up and that was delicious. 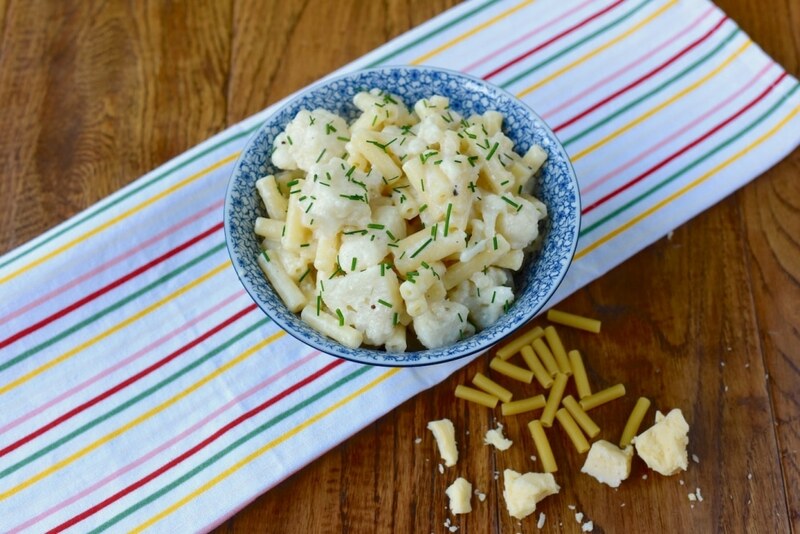 There are so many ways to take this simple, but lightened up, mac and cheese to a whole other level. Healthy Mac and Cheese? You read that right! A big bowl for under 350 calories and it tastes delicious. This is what dreams are made of. An added bonus is that some vegetables that have been sneaked in - so a great dish for kids too. Add the macaroni to a pan of boiling water and cook for 12-15 minutes. Add the cauliflower to the pan 5 minutes before the pasta is finished. Drain the pasta and cauliflower and put back in the pan. Stir in the cheese so that the hot pasta starts to melt it. Divide between bowls and top with chives if using. The quality of the cheese has such an effect on the quality of taste. Great recipe. I made this today after reading your article.Great taste..I love mac and cheese.. 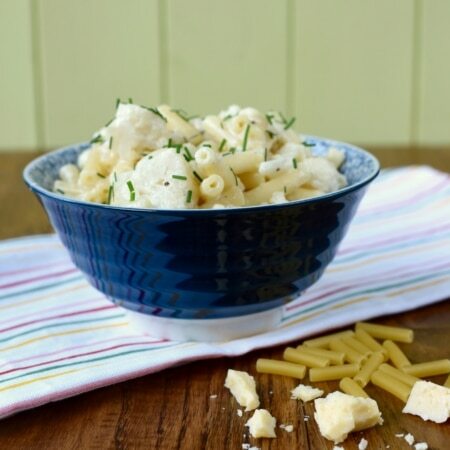 I loooove macaroni cheese – I would quite happily have it every day with a big slab of garlic bread! This sounds like a much healthier alternative though. Using a good quality mature cheese really does mean you can use less doesn’t it! Wait a sec, healthy mac n cheese? I don’t believe it. I will be trying this one. I enjoyed reading this recipe! It is so true what you say, mac and cheese doesn’t have to be bad when you use the right ingredients. I like that you used cauliflower to make sure that it is a balanced meal with veg. Do you think using mashed broad beans would work with these flavours? I have to really be in the mood for mac and cheese as I like meals filled with veg, but I love that this includes veggies. I made this today after I had been meaning to try it for ages. I loved it. Had to microwave the cauliflower and mix in after I drained the macaroni as I blitzed it into small pieces (too small for the drainer!). I didn’t have mustard powder so used whole grain mustard which my daughter disliked but will definitely make again without that. This looks super tempting and just the sort of recipe I need at the moment as I’m veggie and trying to reduce my calorie intake. Thanks for sharing. 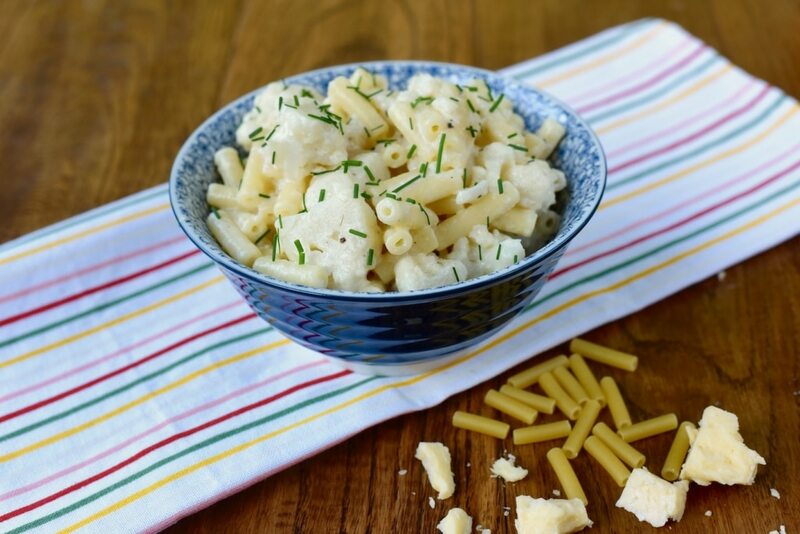 Mac and cheese is such a great comfort food, love your healthy spin on it! I see that there are 4 servings total, but how much is in each serving. One cup? 1.5 cups? Thanks! I don’t measure portions in cups. I just go by that if there are 4 servings, then one serving is a quarter of the whole amount. 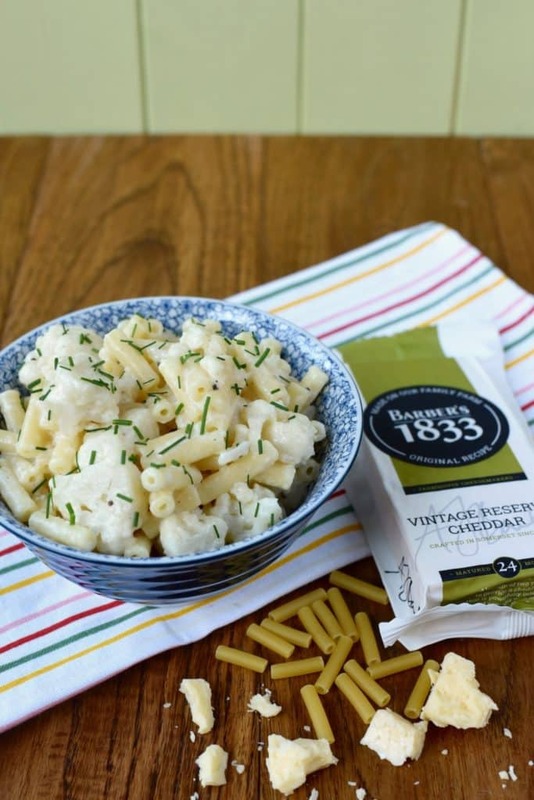 I am so excited to try this as mac and cheese is my favourite comfort meals. One to save for winter thought I think, as it is far too hot here at the moment. I love the way you just cut down the calories in a dish rather than getting rid of all the dairy. It’ a good way to live and gorgeous dish.